Bosch is introducing the 18-volt Connected LED Area Light with Bluetooth, model GLI18V-1200C, which offers users full control over the smart light using a mobile device. 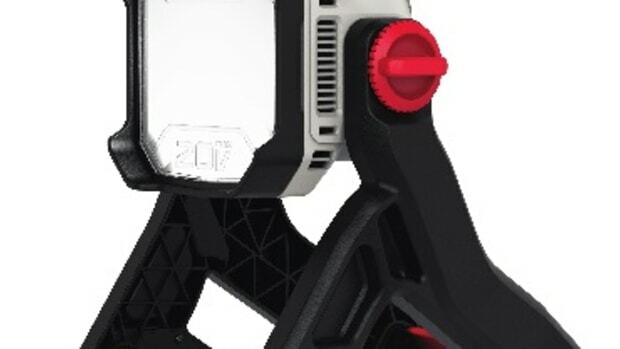 “The light produces 1,200 lumens, which is enough to illuminate dark work areas like corners or rooms,” the company said in a statement. “The GLI18V-1200C is compact enough to be a carry-along area light. It also has a fade-in function, allowing the light to slowly increase to full brightness to lessen the chances of temporary flash blindness. 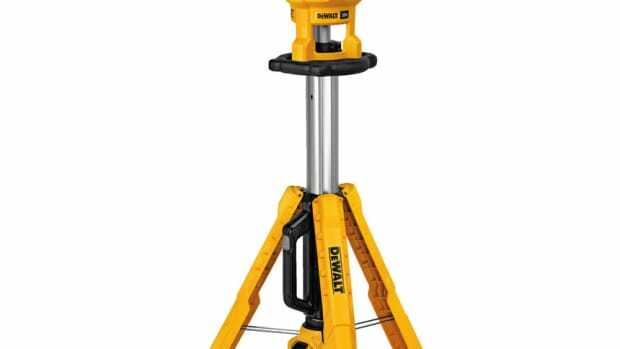 “It works with the rechargeable Bosch 18V system to provide outstanding runtime. The light intensity is adjustable, with a lower, dimmed mode setting for longer runtime – up to 17.3 hours on a CORE18V 8.0 Ah battery (not included). 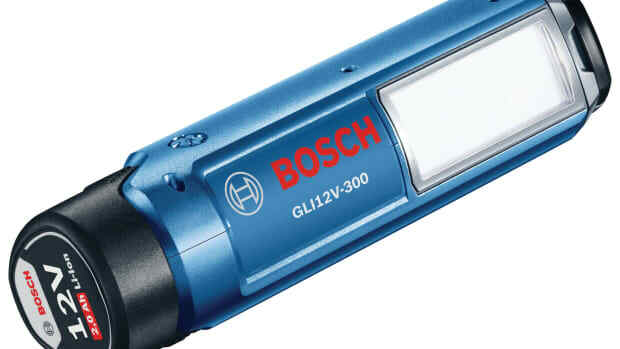 At 1,200 lumens, it provides 10.6 hours on the Bosch 8.0 Ah battery. 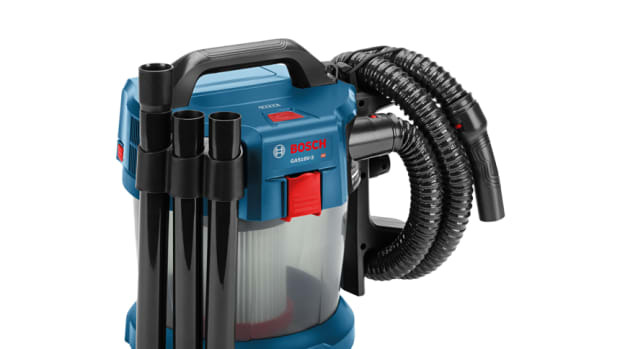 Bosch introduces an 18-volt hand-held vacuum cleaner, model GAS18V-02N, with a washable filter for jobsite cleanup. 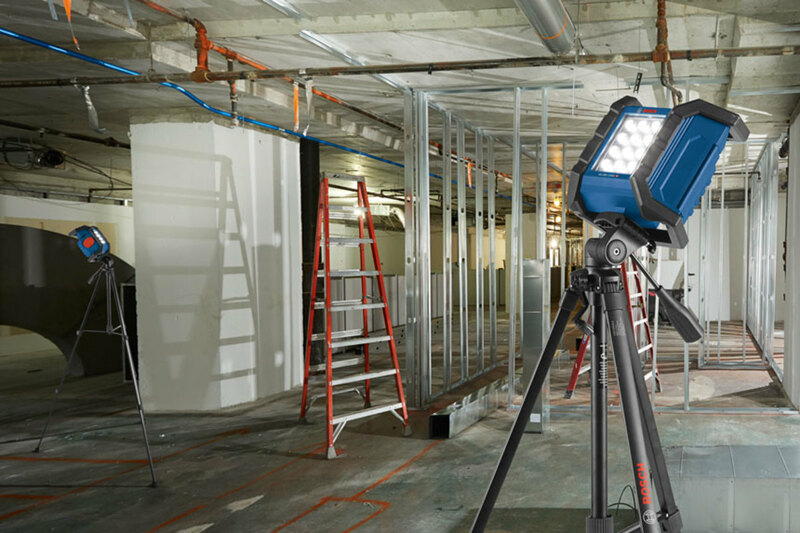 BOSCH offers two new two portable light sources, an 18-volt articulating model GLI18V-300 and the 12-volt model GLI12V-300. 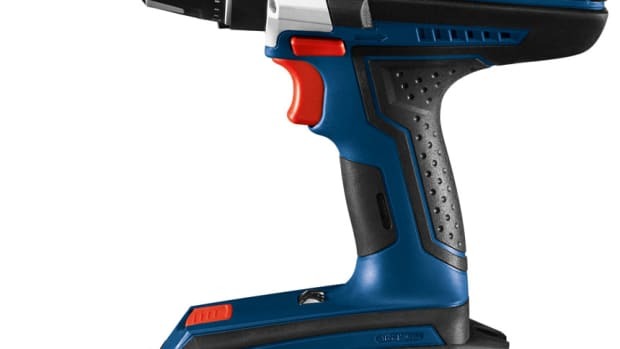 Porter-Cable introduces the 20-volt Max corded and cordless LED task light, model PCCL500B. 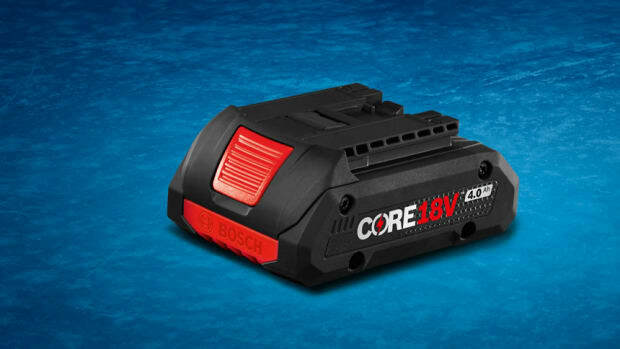 The only thing that can make increased battery power more attractive is putting all that additional performance in a smaller package, according to Bosch, which has introduced its new Core 18-volt 4.0 Ah battery. 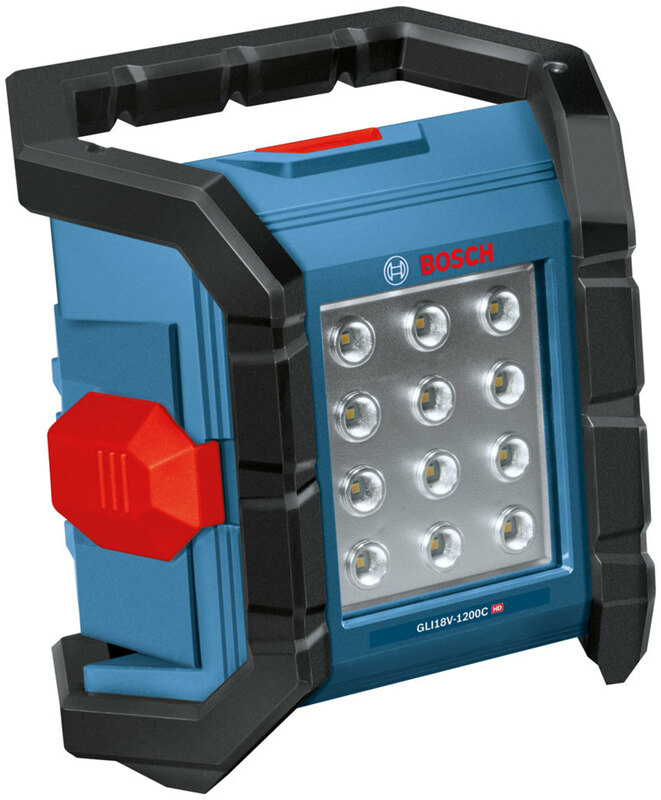 Bosch introduces two portable light sources, an 18-volt articulating model GLI18V-300 and the 12-volt model GLI12V-300. 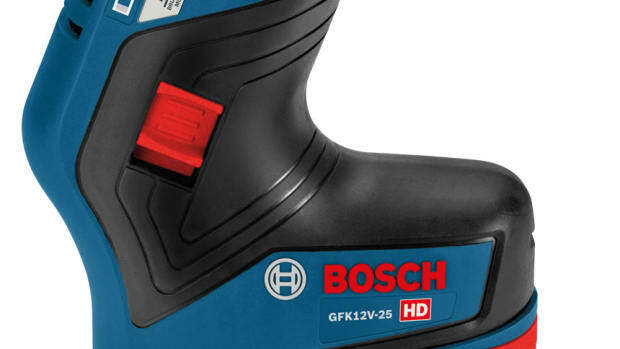 Bosch introduces a pair of 36-volts tools, the model DDH361 ½” drill/driver and model HDH361 ½" hammer drill/driver.